Our Engineering team based in Chicago Illinois has over 55 years of Aluminum and Magnesium casting experience in process, tooling, product design, and optimization for die casting. 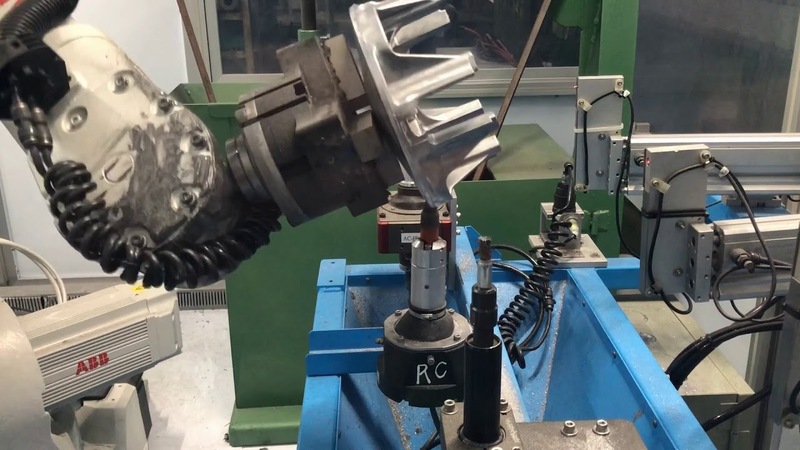 As your tooling provider we work with our Global Tooling Partners to design and build die cast dies manufactured to strict US standards on World Class equipment. All aluminum and Magnesium Die Castings are produced flash free on fully automated state of the art die casting cells with an average age of 10 years. Integrity Light Metals was formed to provide Globally Sourced Manufacturing of High Integrity Aluminum and Magnesium Die Castings. We provide World Class Tooling utilizing a US-Based Program Management and Engineering Development Team. As your Solutions provider, we utilize our US-based Program Management and Engineering expertise combined with our Strategic Global Manufacturing Partners to bring your designs from concept to series production. As your Solutions provider, we utilize our US-based Program Management and Engineering expertise. As your tooling provider, we work with our Global Tooling Partners to design and build die cast dies made to strict US standards. All Aluminum and Magnesium die castings are produced on fully automated state of the art die casting cells. We provide innovative product solutions for sustainable progress. Our professional team works to increase productivity and cost-effectiveness throughout the market. With our Strategic Global Die Casting Partners, we provide Hybrid Part Pricing using global resources to offer a cost competitive product. With state of the art warehousing and inventory control systems Our Strategic Global Partners ship parts to 83 different locations in 16 countries throughout the world. What is Flash Free Die Casting? Flash Free Die Casting will produce, a very structurally sound casting, made to tight dimensional requirements, with highly automated processes, in a clean, safe, and productive manner. This technique drives all areas within a Die Cast Facility to operate at a World Class level. What is Hybrid Part Manufacturing and Pricing? In today’s Global Marketplace customers require the most cost competitive parts designed once and delivered to their final assembly destination. With the same final assembly often produced in multiple countries, to serve their local markets, these customers also need a uniform supply of parts and service throughout the world. and isolated production disruptions at either facility. What is High Integrity Die Casting? Most die casting processes exhibit high levels of porosity and internal defects within the cast structure making the parts less suitable for high stress applications. By using a combination of the correct alloy, proper die design and cooling, process simulation, tight process controls, vacuum, and flash free manufacturing, a die-cast process can produce High Integrity Castings that can withstand these high stress applications. We take great pride developing cost-effective, time-saving strategies. Integrity Light Metals was formed to provide Globally Sourced Manufacturing of High Integrity Aluminum and Magnesium Die Castings. We provide World Class Tooling utilizing a US-Based Program Management and Engineering Development Team. Dies sampled for Die Casters by Die Casters.